I’M JUST WILD ABOUT HARRY! I’M JUST WILD ABOUT HARRY AND I KNOW HARRY IS WILD ABOUT ME, A SENIOR CITIZEN WHO RESIDES IN PAHRUMP. I KNOW ABOUT THE NAYSAYER THAT IS RUNNING AGAINST YOU. WHAT A BUNCH OF LIES SHE HAS SPREAD ABOUT YOU UNJUSTLY! AT LEAST WHEN YOU QUOTE SHARON ANGLE AS SAYING SOMETHING, YOU ALSO INCLUDE WHERE AND WHEN. 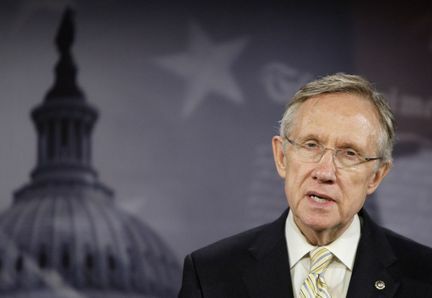 YOU HAVE MY VOTE, SENATOR REID!